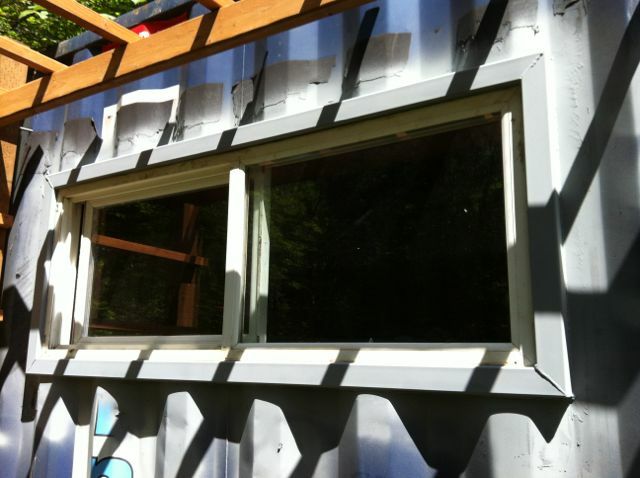 Thanks to the helpful hardware man at Ace this morning, I was able to find exactly the right paint for my window frame. 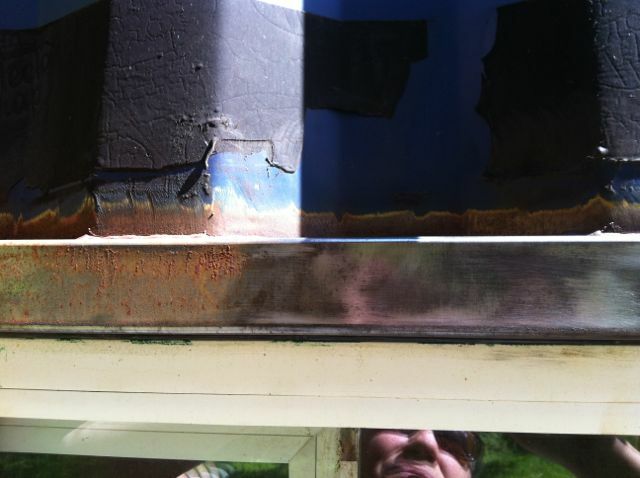 Over the window, rust started to build on it, and I knew I had to protect it somehow. The somehow is galvanizing paint. It has 93% zinc in it, so it sticks and protects. No primer. After about a half hour with the grinding wheel/brush, I painted it and it looks uniform and clean.